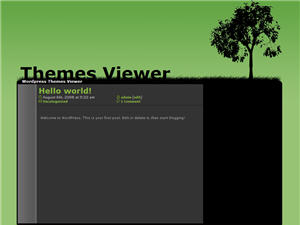 Fantasy wordpress template is not your typical wp skin. 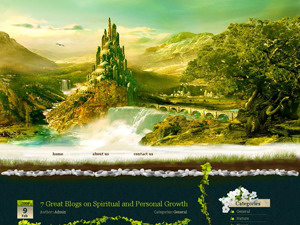 It features header graphic of an amazing fairytale castle located on a hilltop above waterfalls. 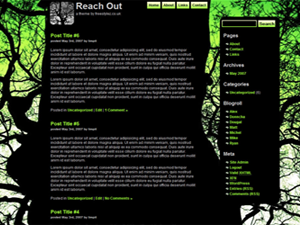 Overall this is a dark blue-green, two column wordpress theme with sidebar located on the right side. 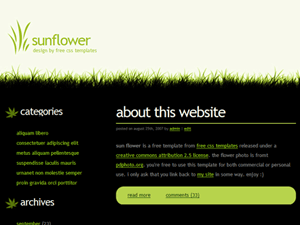 Each sidebar menu sesction is covered with white flowers, while the dividers between posts and sections are strings of green leaves. 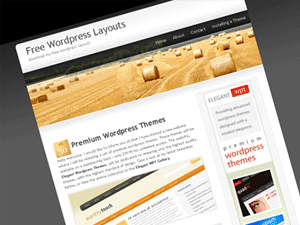 Fantasy wordpress theme was designed by Alexandru Popescu. 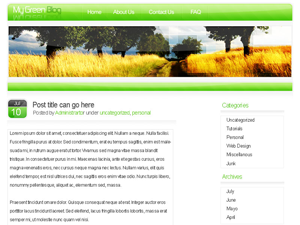 Hay Fields is a clean 2 column wordpress theme featuring bales of hay on a field in the theme’s header graphic. 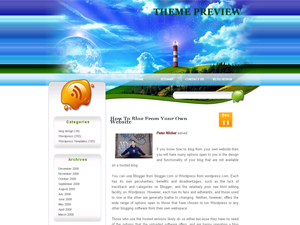 This wp template was designed by Make Quick from freewordpresslayouts.com. 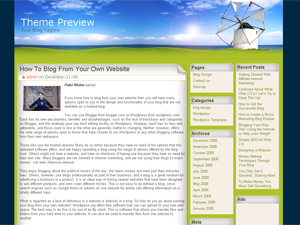 It is well suited for an agriculture blog or similar.